We are now at a time in our planetary evolution known to many as 'ascension'. Those individuals who are known as 'starseeds' are currently in their millions and are collectively going through an awakening process. Why is this happening? What does the awakening entail? Magenta Pixie has been communicating with the 'White Winged Collective Consciousness of Nine', a sixth dimensional 'monadic light structure', about these concepts for the last 24 years. They have spoken much of 'memory recall' and the reconstructing of the original DNA template. 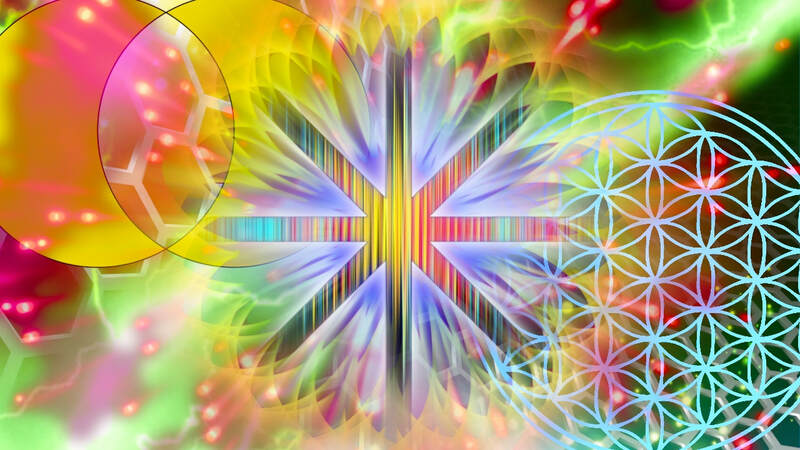 In this transmission, they bring forward 'memory triggers' designed to act as a catalyst into the awakening process at various stages and respond to many of the questions which the starseeds are asking. Why are we here? Who are we? What are we supposed to do? What is it that we are to remember? Why did we lose our memories in the first place? What is the call of humanity? What is the fall of man? What is 'zero point'? Is it true that we can travel through other dimensions through the activation of our Mer-Ka-Bah? How is 'the lost city of Atlantis' connected to our memory recall? The Nine present a model of working with the individualised matrix field, known also as the Mer-Ka-Bah, through 'Matrix Architecture' and 'the golden triad of ascension'. An in depth analysis and explanation of the 'twin flame consciousness' and how this relates to the ascension experience is part of this transmission. Embracing the inner archetypes of the 'Alchemist' and the 'Architect' and knowing how to construct your own personal matrix will move you into the memory recall needed. This transmission will take you on a multidimensional journey of profound discovery as you move into the creation of the Divine Architecture. The triggers contained within this material are there to assist you in accessing the codes for the new formation of the original crystalline DNA matrix known as the 'Starseed Template'. Magenta Pixie is a channel for the higher dimensional, divine intelligence known as 'The White Winged Collective Consciousness of Nine'. The transmissions she receives from 'The Nine' have reached thousands of people worldwide via the extensive video collection on her YouTube channel. She has worked with people from all over the world as an intuitive consultant and ascension/consciousness coach. Magenta lives in the New Forest, United Kingdom. 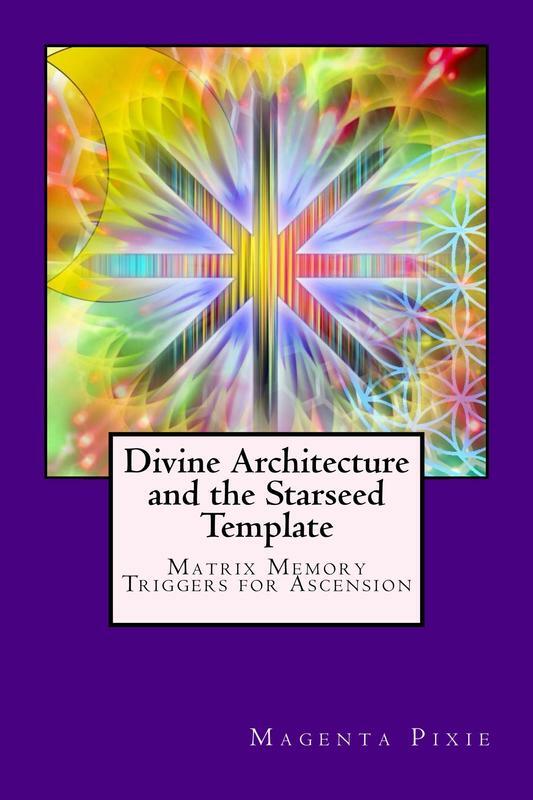 "DIVINE ARCHITECTURE AND THE STARSEED TEMPLATE"
"Cutting-edge book on ascension and the steps needed to achieve this state." "This book is amazing in every way... This book stimulates my mind in ways that give me goosebumps and bring tears of joy to my eyes. The content is so powerful that sometimes I can only read two or three pages, maybe ten pages at a time because my mind is so blown that I have to stop and contemplate what I just read. Effectively written using simple terms so everyone will be able to understand, the information is very beautiful, powerful, and life-changing... Doors have been opened in my mind and my life from reading this book. From my heart, I sincerely wish everyone on the planet would read this!" "This book was amazing from start to finish. I could not wait to read each day, and the wonderful enlightenment at the end was divine." "Great experience of an infinitely deep subject, told in a way that promotes sovereignty and empowerment."